Aloha! 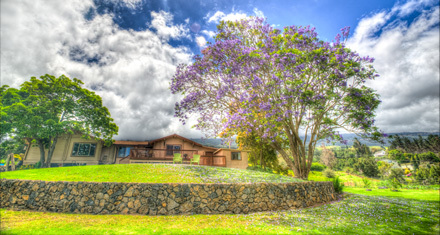 G & Z Upcountry Bed and Breakfast is located in Kula on the Island of Maui. At an elevation around 3,000 feet guests will welcome the day as the sun rises over Haleakala and watch the sun setting into the ocean or behind Mauna Kahalawai (West Maui Mountains) depending on the season. 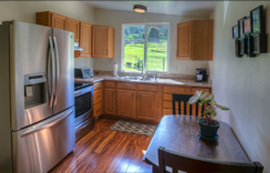 G & Z offers a rural tropical atmosphere within minutes of everything Upcountry Maui has to offer. It’s a place to relax and ‘get away from it all,’ yet still be within an easy drive to beaches and surf spots. 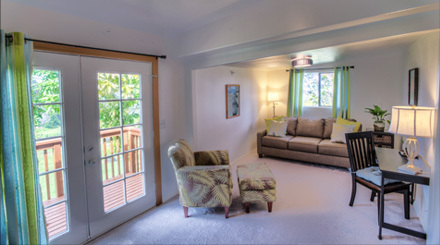 Your hosts look forward to welcoming you to their Maui bed and breakfast which includes a full kitchen, bedroom, living room and bath. G & Z is adjacent to their farm where they grow avocado, Meyer lemon, Tahitian lime, pomegranate, fig, coffee, and a vegetable garden.